This op-ed comes from Chelsea Higgs Wise of Women and Politics and Francesca Leigh-Davis of RVA Dirt and Municipal Mania. We all have our morning routines, but in many corners of RVA, there are black women that wake up ready to talk community. It’s a built-in strategy for getting our superwoman gear secured physically and mentally, in order to take on a world built against us. Taking on a world built against you is difficult in the best of times, and this week, with hate groups converging on Washington, DC for a repeat of last year’s Unite the Right, is not the best of times. We spent the whole week texting back and forth: Would we go or wouldn’t we? 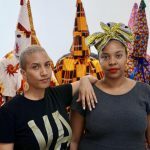 We are two black women and independent radio hosts here at WRIR, brought together out of a shared passion for political connection and community engagement. Along with our co-hosts on our respective shows, Women and Politics and RVA Dirt’s Municipal Mania, this seemed to be an event at the intersection of all of our interests. But unlike our co-hosts, we’re black and we’re mothers. Could we stay home, instead of putting our lives on the line once again, and let our many white friends and allies step up for the community? We decided: It’s time to give the black folks, specifically the women, a break. We watched what happened in Charlottesville last year. Across national news outlets, tiki torch-bearing, polo-popped-collar wearing, “fine people” stood alongside weaponized toy soldiers of the alt-right while throwing punches and projectiles with counter-protesters, all in front of police bystanders who offered their tacit approval. If the neo-Nazis will ruthlessly murder a white woman over a piece of marble they will definitely run over our black selves. Our white co-hosts can maneuver in the crowd and be a presence that takes on the torch, literally and figuratively. Even armed with a press pass and a camera crew, to the tiki torch-carrying whites, we would become a number of racial epithets without hesitation. Our voices as black women come with a responsibility, on how and what to report, but would we be there this Sunday at Unite the Right 2? Participating in a Confederate monument protest opposite extremist alt-right militias and the over-militarized police force is nowhere we need to be. We are mothers and we risk our families and our existence when we lend our voice and presence in aggression-filled battles. As a black body in these spaces, we are met with aggression and are challenged not only from the emboldened cosplay-dressed defenders of the south, but from the police sworn to serve and protect. 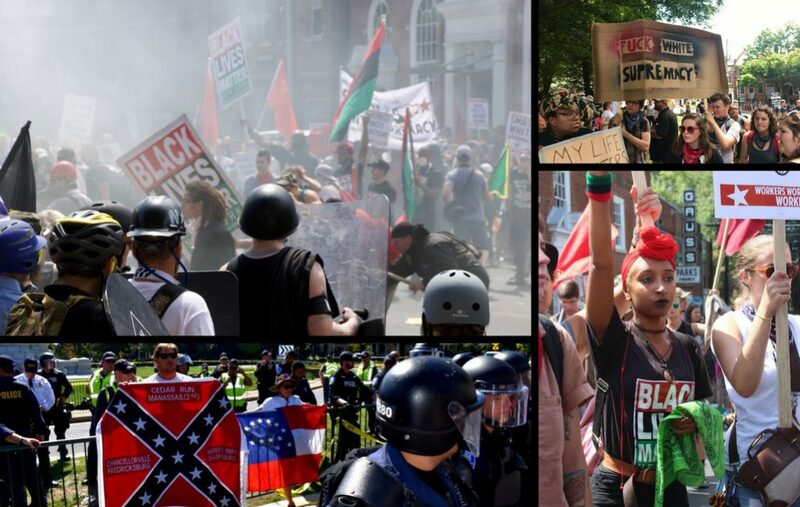 Historically, civil rights protesters were met with white supremacists and police with hoses, and in 2018, any day can find a black person face-to-face with neo-Nazis or a trigger-happy police officer. So, rather than become the next hashtag, we plan to spectate from home, sitting in front of a television or phone screen cheering on the concerned, progressive, white-privileged allies while they clash with the tiny titans of prejudice and bigotry. This is exactly where this fight should happen. Do black voices have a place in this argument? Sure, but we all watched in horror last year and learned a valuable lesson. Black voices can protest non-violently, silently, even list the names of our fallen soldiers on the ties of our sports heroes, but still, America is complicit. Though, there is a lost hero’s name that stands out in the fight against neo-Nazis, and it’s not a black one. #RIPHeather. Witnessing black people killed by the criminal justice system is not enough for a shift, but the sacrifice of one white woman body has the country ready to fight back, so let’s let them. Here’s a message to our friends, allies, and our beloved co-hosts: Use your privilege to stand up to the reign of white supremacy from which you benefit, and not just at protests. There are times we need allies to be physically next to us, to use your body to validate our voice in a spaces where we may be unwanted and disrespected; there, your whiteness is disrupting privilege, and it is appreciated. But this weekend, we have a front row seat to true allyship as you all #DoTheWork and be the body at the march. Our absence doesn’t dampen our voice, but our choice to stand down for a much deserved break is the perfect place to tag our allies in. A decision not made out of fear, but out of self-preservation. Chelsea Higgs Wise is a regular contributor to RVA Magazine; Francesca Leigh-Davis writes for RVA Dirt, a local outlet covering municipal meetings and community concerns around Richmond.